A common line on Edinburgh, Scotland (no doubt fully approved by the city tourism board) is that during the festival month of August, when the Fringe Theatre Fest, Military Tattoo, and various other arts and culture extravaganzas consume the civic scene, it may be the most exciting city in the world. But what is Edinburgh the rest of the time? Historically and contemporaneously Scotland’s governmental, financial, and cultural capital, Edinburgh has both a stiffer, more formal reputation than its rougher industrial urban rival of Glasgow and a looser profile than the grim, traditional cities of nearby Northern England. A peculiar mix of vestigial Presbyterian propriety and rugged self-reliance of the displaced Highlanders persists in Edinburgh today, and can still be discerned beneath the thick lacquer of globalized consumer capitalism that is layered onto the deep historical foundations of all major UK centres. It is more liberal and more conservative than a city like London in different ways (and is definitely much less multicultural), and outside of its tourist bottlenecks is doubtlessly possessed of less bustle than the massive metropolitan capital to the south. The sturdiest and most bustling of those bottlenecks is the Royal Mile, the high-to-low road winding along the herringbone spur of the Old Town from the heights of Castlehill to the Palace of Holyroodhouse at the base of the rocky bulk of Arthur’s Seat (a hearty enough hike to the top, though not even a mountain, technically). The vertical tenement buildings that line the Mile now house souvenir shops hawking tartans and wool, oak-shelved scotch whiskey emporiums, overpriced pubs and restaurants of dubious quality, and museums, with luxury private residences above them. But their stones (their soft, absorbent surfaces blackened iconically by industrial soot) were once home to striving professionals and tradesmen, writers and philosophers, and destitute labourers, packed tight like sardines in the most grittily magnificent crushed tin box in urban Scotland. Though the working class is far from vanished from Scottish life (their thick brogue, near-unintelligible to speakers on North American English, can be encountered here and there on the street or in the pub), the Old Town has spruced itself up and pedestrianized quite trimly, as befits a very old historical city centre in Europe. A sophisticated traveler may strike a pose of bemusement when faced with the blaring bagpipe music from the Thistle Do Nicelys, the dressed-up William Wallace buskers, and particularly the ubiquitous nighttime haunted tours. But something strange and gothic does indeed hang in the air in Edinburgh, drifting in on the maritime mist off the North Sea and lurking in the narrow winding closes that burrow down from the Mile like shafts into the city’s murky unconscious. 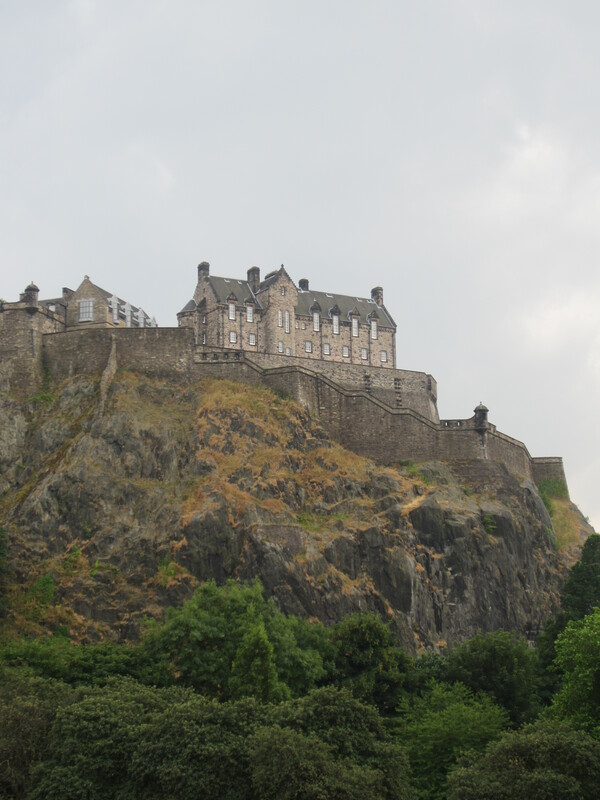 Edinburgh’s macabre history of kings thrown from steeds over cliffs, religious martyrs, and burglar deacons doesn’t reduce the mysterious foreboding either. This same mystery is not as discernible in the Georgian architectural symmetries of New Town, nor in the respectable inner suburbs. Even on the Royal Mile itself, one finds the feeling dissipates as the street’s eastern terminus is approached, with the strenuous modernism of the new Scottish Parliament Building (its jagged thrusts and brown-pole canopies sketching the suggestion of a defiant wooden Highland hill-fort) and the gated royal palace opposite it. Indeed, besides the slight differences in accent and the occasional notes of Bank of Scotland funny-money, much of Edinburgh would seem to be indistinguishable from any other part of the modern UK, and carries no more ineffable inscrutability than any other older city. The will to modernity aside, this same foggy darkness that has hung around the popularly-disseminated image of Scottishness (a remnant of the influence of Macbeth on subsequent conceptions of the region, its people, and its culture, perhaps) is representative of a conception of Scotland’s past that the country attempts to capitalize on economically while reconciling its rough edges with a vision of its imagined future. 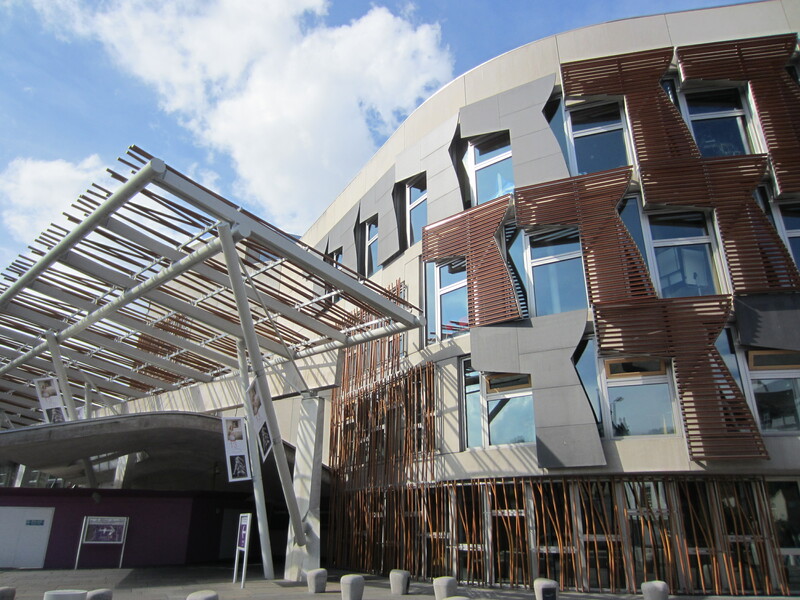 After recent devolution legislation, the new Scottish Parliament houses something resembling a national government for the first time in over three centuries, and the Scottish National Party and other nationalist groups continue to agitate for independence from the British Union in the near future (despite middling support for this course of sovereignty among Scotland’s citizenry). Although couched in more contemporary political terms (nuclear disarmament paramount among them), the dream of Scottish independence seems less a vision of its future than of its past, a vision that persists in the popular worldwide consciousness and therefore in Scotland’s tourist zones as well. That resilient image of Braveheart Scottishness – of lusty, fiercely loyal liberty of action and nose-thumbing resistance to the malicious influence of the usurping English – holds sway with the common visitor to a place like Edinburgh, and with so much exposure to it, how can even a local resident keep this discourse at bay? It isn’t crystal clear that Scots firmly believe in the tartan-clad, haggis-wolfing version of their national identity, haunted as it is by so many pained ghosts and crushing defeats. On balance, the Act of Union has been good for Scotland, enabling its Enlightenment, its industrial development, and its economic assimilation into modern capitalism; a clean (or unclean, as a separation would more likely be) break from all of this would not necessarily be in the interest of even a more fully sovereign Scotland. But Scots do put plentiful effort into purposely selling this archaic image of Scotland to those from elsewhere who spend money in Scotland. Under the ideological imperatives of modern capitalism, is there any functional difference between believe in something and working hard to sell it to someone? 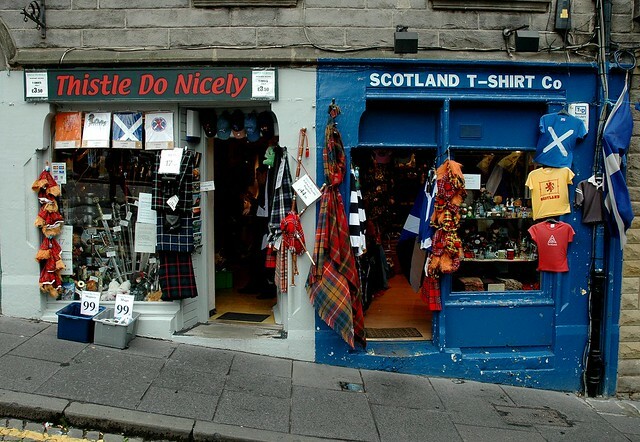 Whatever a visitor understands Scotland as being now, they also must apprehend these durable (if stereotypical) elements of the national identity.